$599 one-time setup. $349 per month. An Advanced Website built to help you attract visitors, generate leads and grow your sales! At Pronto we establish your website as the center of your digital universe. It’s the anchor, the foundation, the glue that holds everything together. Any investment you make in online marketing be it advertising, social media, or search optimization has got to start and end with your website. That’s just the way it works, and we make sure it works well. 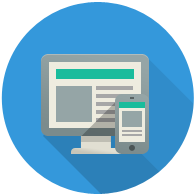 Fully responsive, which means all your pages look great and convert your visitors no matter the device. From physical products and digital downloads to subscriptions, set up an online store to sell worldwide. From top to bottom engaging homepages tell your story, and convert your visitors to action. 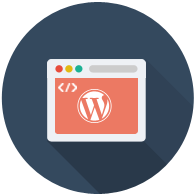 Our site & stores adhere to WordPress's top coding standards, and are kept secure and up-to-date. We work around the clock to ensure your site and store remain safe. Having your website on the world's leading CMS ensures your site is simple to edit, loads in a flash and is easy for the search engines to find. We can build and manage optimized landing and thank you pages to aid with your inbound marketing campaigns. 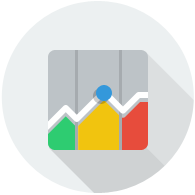 We set up Google Analytics right so you always understand how your website is performing and what your visitors are doing. Code that search engines love: microformats, easily crawlable site architecture, meta data optimized by our team of SEO experts. You will be assigned a dedicated project manager and cross-functional web team. Our creative team will design and develop your home page and store mock up. You then get unlimited mockup revisions until you are happy. Once approved we will build your site and store and host on a development server. You then get unlimited site revisions until you are happy. When you're ready to go live, just give us the “green light” and we'll send you the necessary instructions to update your DNS records. Once you do, your new website should be live on the Internet in about an hour or two! Just because your new website's live doesn't mean our work is finished. After launch, our team is standing by 24 hours a day, 5 days a week to support you! Although we can't make guarantees, our clients often see a strong increase in organic and overall traffic after switching to Pronto. 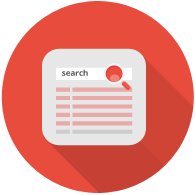 With the Advanced Website Package, we do this by improving your website's SEO and making it more visible in local business directories. We have other premium add on services including link building and email newsletter designed to bring even more traffic to your website. Read more how we help bring traffic. How long does it take until I go live? Most sites are up and running in 4-6 weeks. Some take a little longer, depending on how many revisions are requested and the complexity of the project. Our recommendation is to go live as soon as you can and make changes later. The Advanced Website Package allows you to make unlimited number of changes so you have plenty of time to get it right. There are no contracts - you can cancel at anytime. If you have been with Pronto for twelve consecutive months or more, when you cancel your subscription, you can take all website content, blog articles, graphic designs, web page layout and rendered HTML/CSS. We do not however provide the underlying WordPress theme code, plugins or database files. Website Package allows you to make unlimited number of changes so you have plenty of time to get it right.